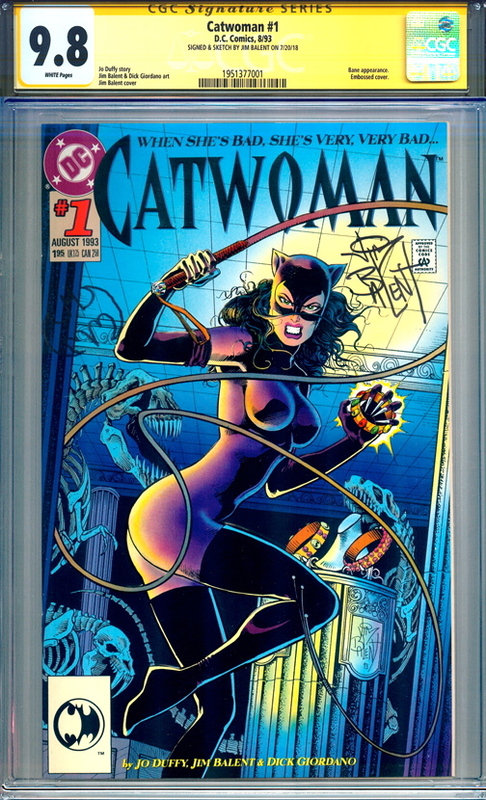 Signed by hand by artist Jim Balent, this copy of Catwoman #1 (August 1993) features an embossed cover with a Bane appearance. It was the very first ongoing monthly Catwoman title and the series would go on to establish much of the characters current mythos. 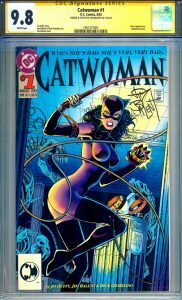 Professionally graded by CGC at 9.8 with white pages, it is part of their special Signature Series. With Signature Series books a certified witness, approved by CGC, actually observes the signing of the comic and then immediately takes possession of the book so there is no possibility of the real autograph being switched out with another.